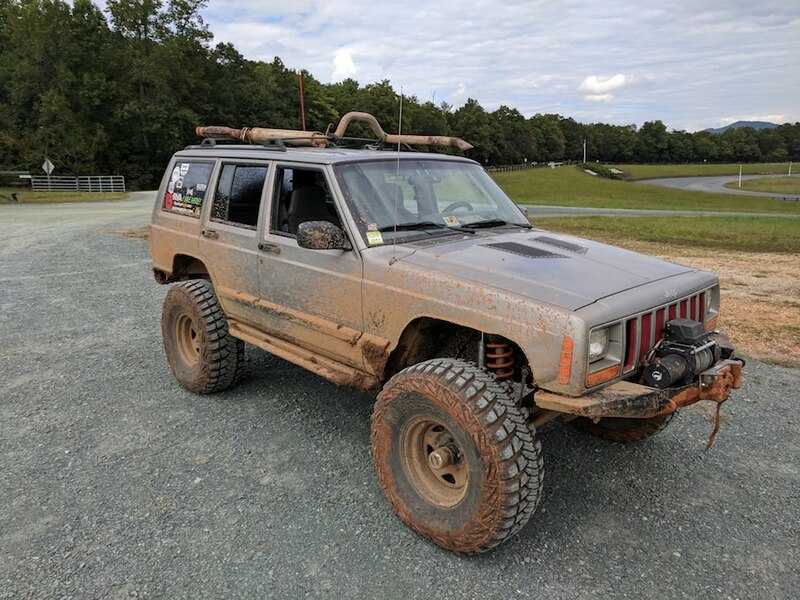 Got home from Uwharrie and gave it a nice bath. Then I started to think about the future. 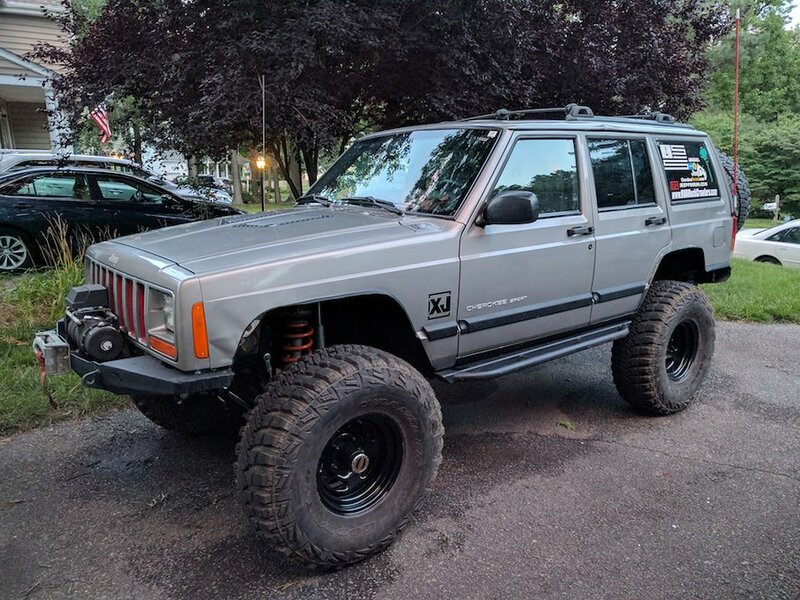 I'd really like to lock the front, and jump up to 37s but I'm having a hard time justifying it with the Dana 30 and throwing more money at it. I've already dumpped a stupid amount into it. 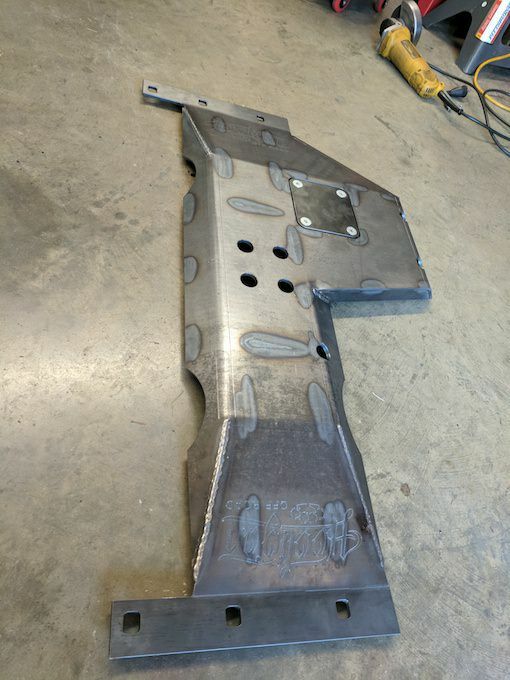 While I thought about that more, I order a t-case skid since my stock cross-member had gotten pretty beat up over the years and went with the Hooligan Offroad skid plate. 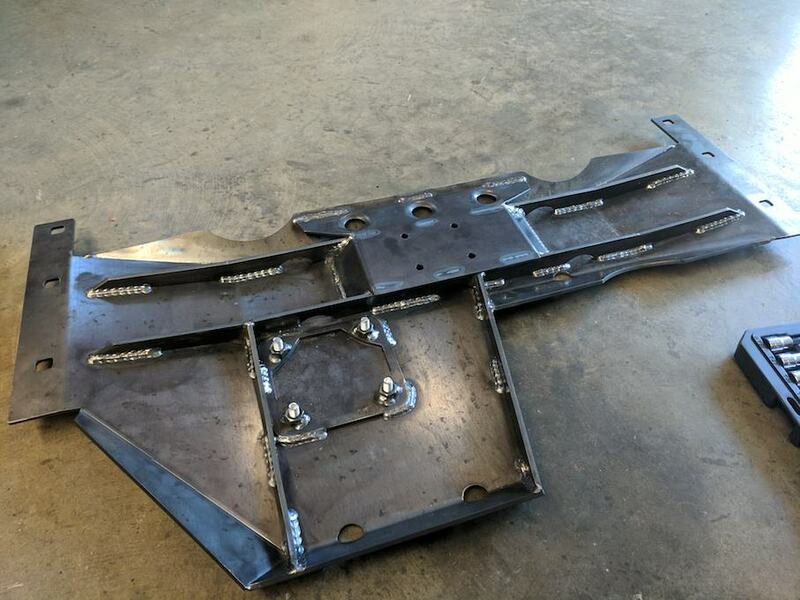 This thing is nice, but I had to make some modifications to get it to work with the Rock-Krawler 3-link mounts and get an off-set transmission mount since the 00-01 mounts are centered. 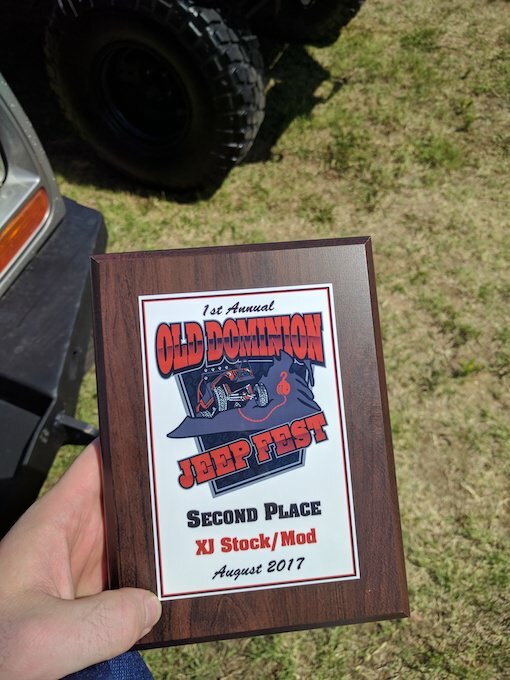 Entered a local Show & Shine at the Old Dominion Jeep Fest, won 2nd place. Went back to Oak Ridge and had my first "major" breaks I would say. Ripped the exhaust off cat-back trying to clib over a downed tree. 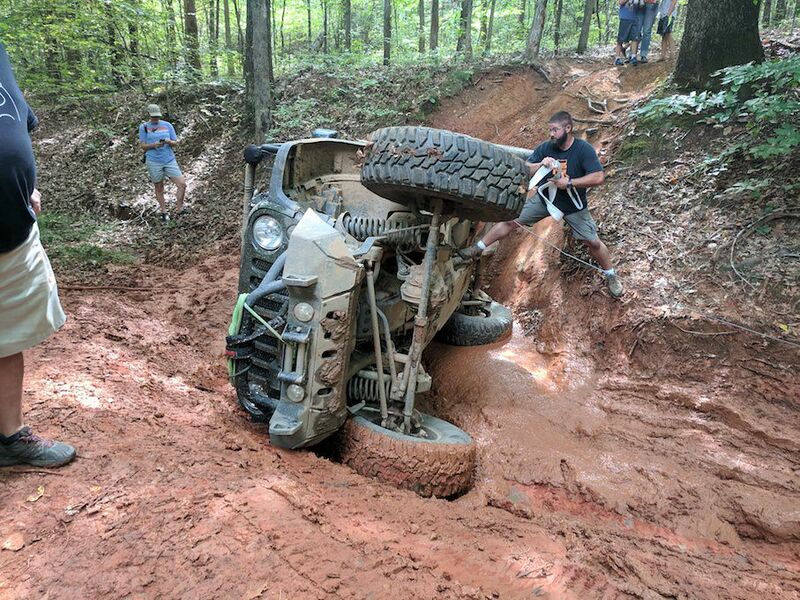 I was trail-guding and some asked "Do you think we can make it over, or should we turn back?" and of course I responded "lets find out". Well we found out, and I was a see-saw in the woods. 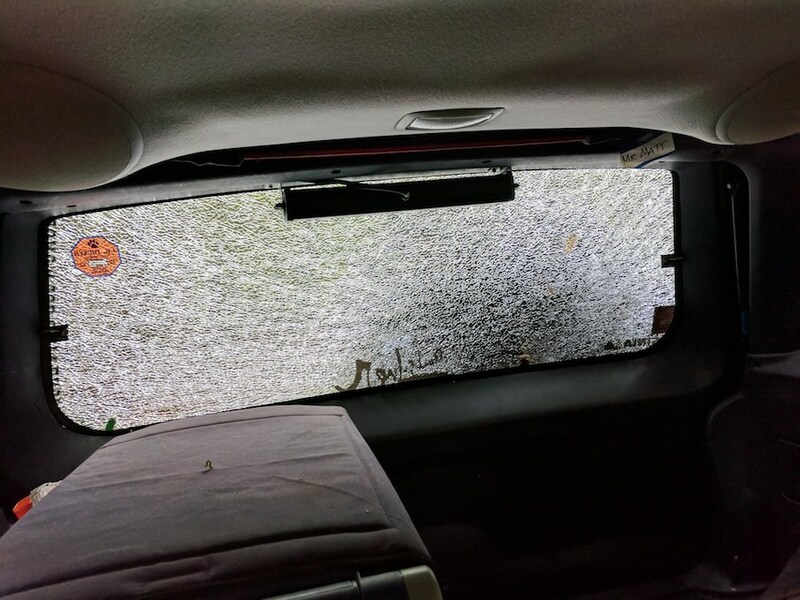 Later in the day coming down coming down a step drop into "Z-ditch" my tire carrier caught the slope and pushed into my back window shattering it. Right after I did that, the person behind me cut to hard and flopped at the bottom. Overall, it was a good last trip of season, before some big changes. 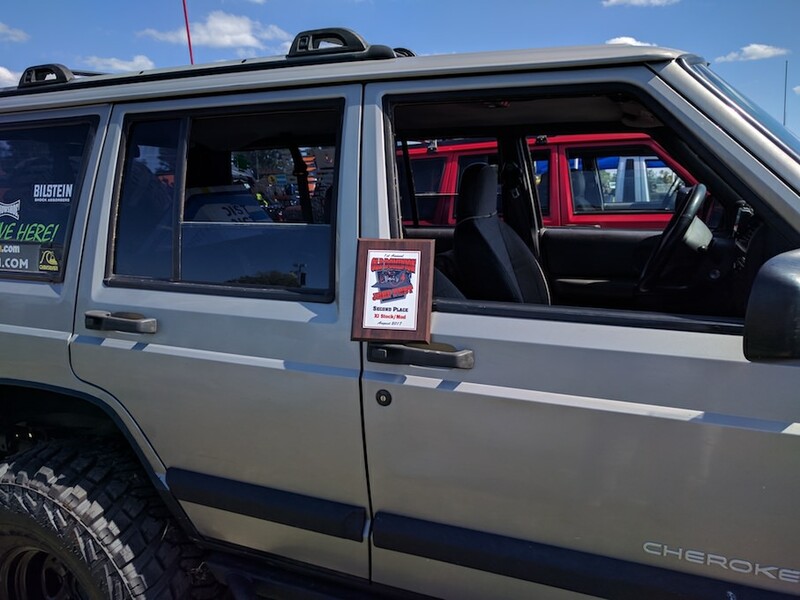 Now that we are caught up to the past few months, hopefully tomorrow I can get to posting about my recents projects and what the off-season has in store for the jeep.